From strolling amongst the majestic ancient tree ferns to our invigorating summit hike the spectacular native forest is just moments from your cabin, tipee or campsite. We encourage guests to take the time to explore our range of walks. 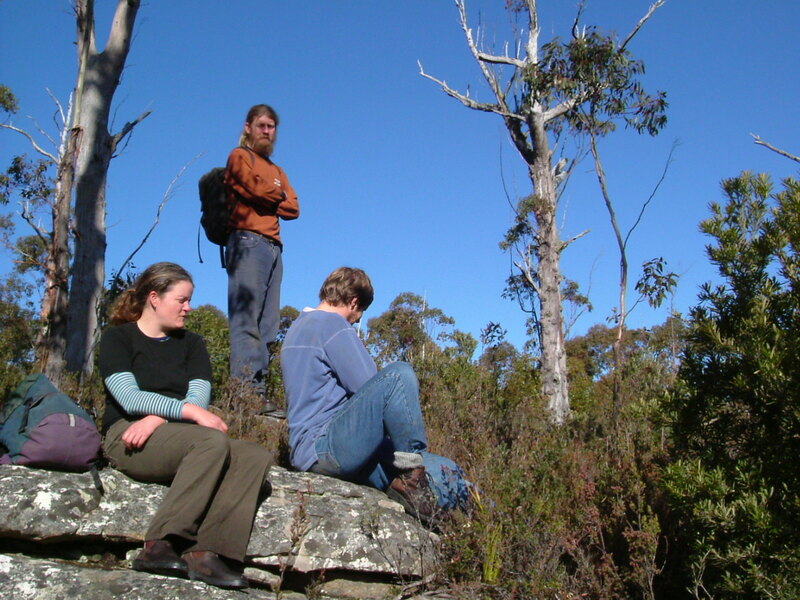 There are four bushwalking tracks and a labyrinth walk or for other walks in southern Tasmania, visit the Huon Valley Escapes Walks page. 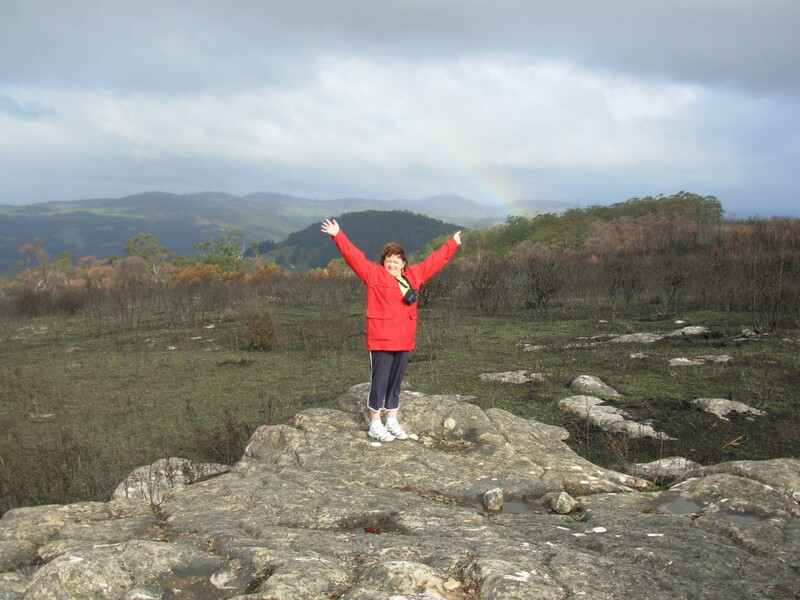 Just 100 meters from the village loop-road along a level assisted wheelchair track, takes you to a spectacular lookout. 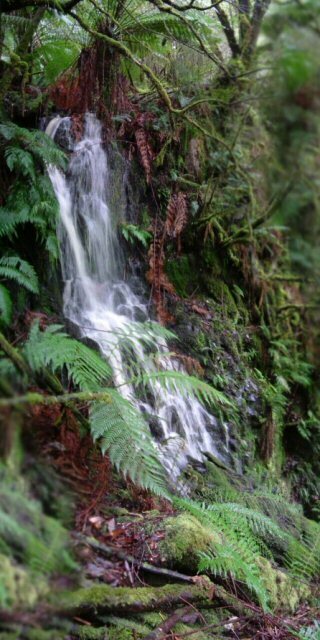 Perched on the edge of a deep gully with rainforest and old growth eucalypt forest. Visit this ancient forest on a 30 minute return loop (an additional 10 minutes to rainforest viewing platform). 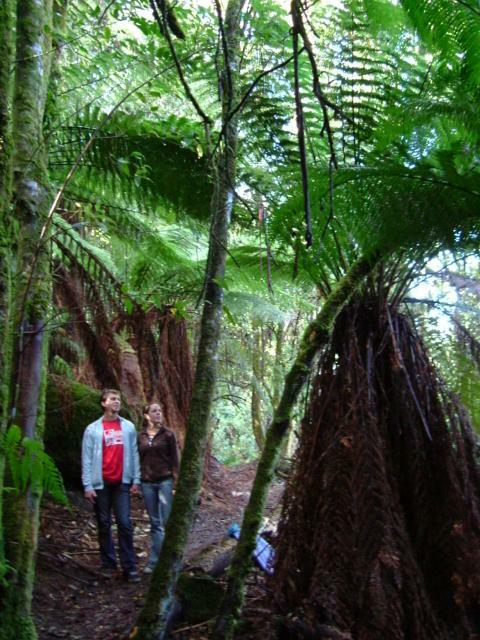 Tree ferns thrive in the deep shadows under the towering Eucalyptus regnans trees, some of which reach 60 metres tall and are 350 years old. Learn about how forest recovers from the old selective logging methods that were used in Tasmania until the advent of woodchipping in the 1960s. The track is 1km long and climbs 50m. I t is well constructed and can be undertaken in strong footwear, full walking boots are not necessary. There are some 50 steps that require modest exertion. Most people will take from 30 – 45 minutes to complete the loop, many choose to linger and contemplate the forest longer. The interpretation panels along this track look at how fire and water are important in Aboriginal culture and how modern human influence has changed the patterns of both. 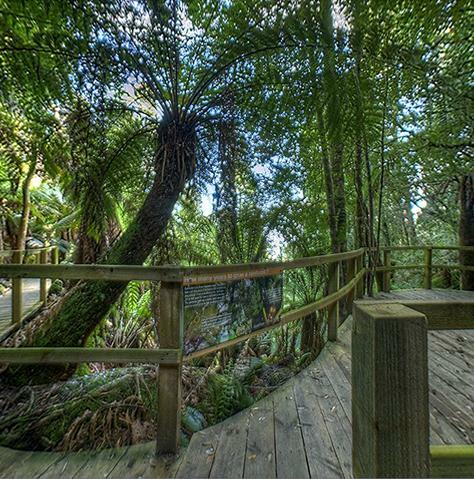 This track travels via a tree fern glade and the Lightning Tree and culminates at a viewing platform overlooking a small waterfall. 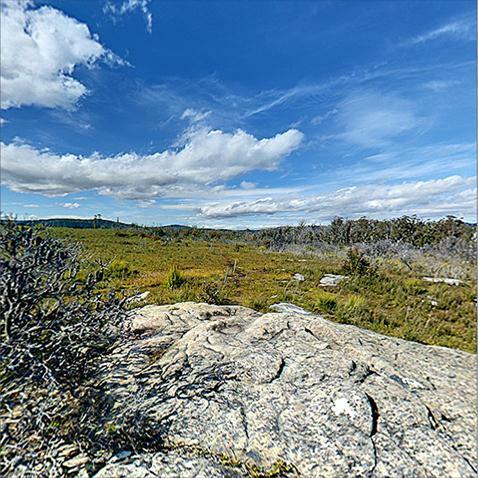 From the rainforest viewing platform, a 3/4 hour steep climb up the escarpment cliffs takes you onto the sub-alpine heathland plateau and “Flat Rock”. From here you can enjoy spectacular 360 degree views towards Bruny Island and the Southwest World Heritage Area. From Flat Rock it is a further three quarters of and hour along the plateau to the top of Mt Misery. This track is well constructed and zig zags through the sometimes steep terrain. Most people with a moderate level of fitness will complete this walk in around 3-4 hours including breaks. Access to walking tracks is covered by your tariff if you are an overnight guest. For day visitors, we ask for a donation to contribute to maintenance of the tracks and roads. For more detailed information on what plant communities you will experience on the walks, go to our Plants page. Sooth your soul and take a miniature pilgrimage. A labyrinth is a winding, maze-like path. They have been found in many ancient cultures and are seen as sacred spaces. 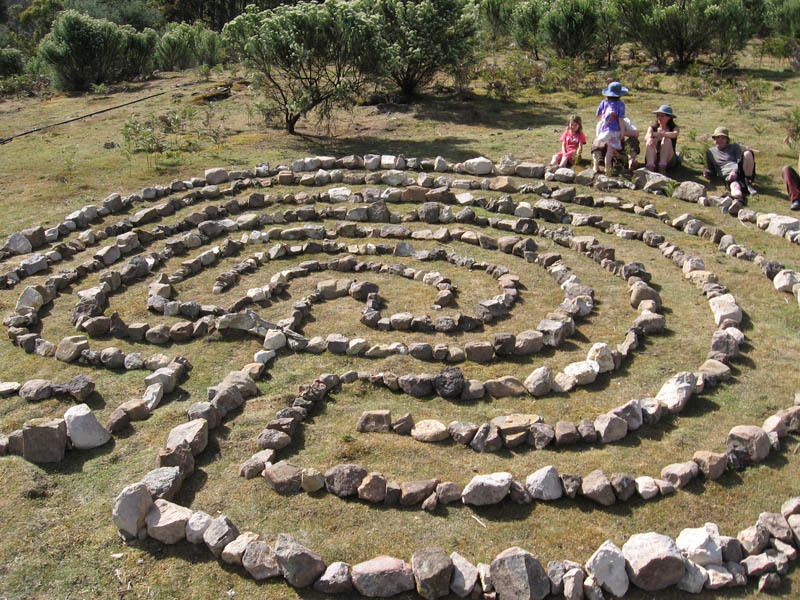 Labyrinths are still used throughout the world as meditative and healing tools. 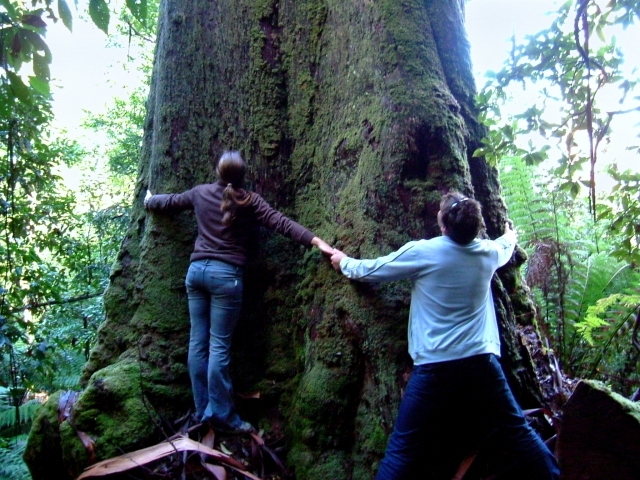 Huon Bush Retreats gives you the opportunity to discover for yourself the possibilities of the labyrinth. We have installed a series of 32 interpretive panels. The panels “interpret” the area around them including specific items in the view. The central theme focuses on how native plants and animals were the original inhabitants, followed by Aboriginal people. Early Europeans had quite different views of the land and current custodians have different views again. But across these three groups, there is a remarkable amount of similarity in various behaviours. 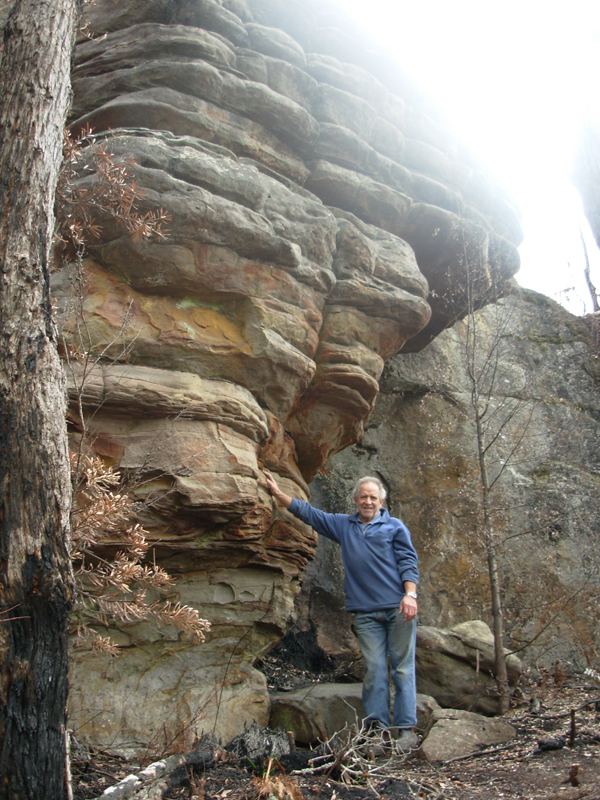 This interpretive development has been possible with funding assistance by Australian Tourism Development Program through the AusIndustry Grants scheme. 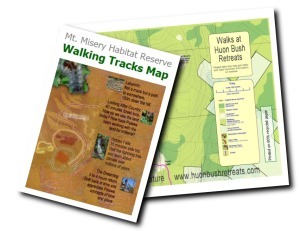 We supply walking track maps and a take-home booklet containing additional information about the Aboriginal custodianship and practices in the area will be available in the near future. 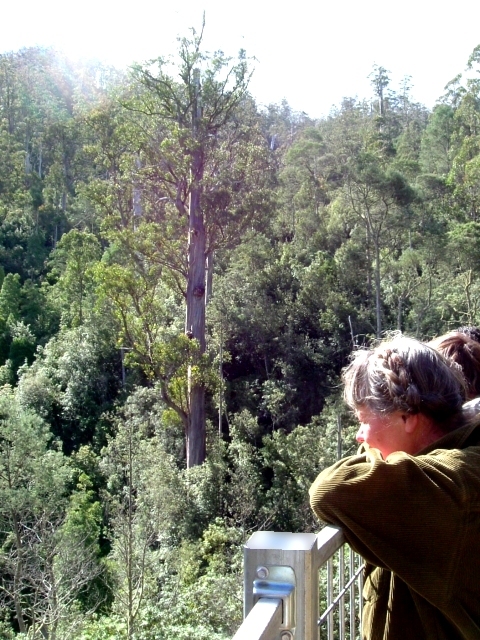 Huon Bush Retreats is a safe haven for native wildlife. You are almost certain to see pademelons, brushtailed possums and bennets wallabies. 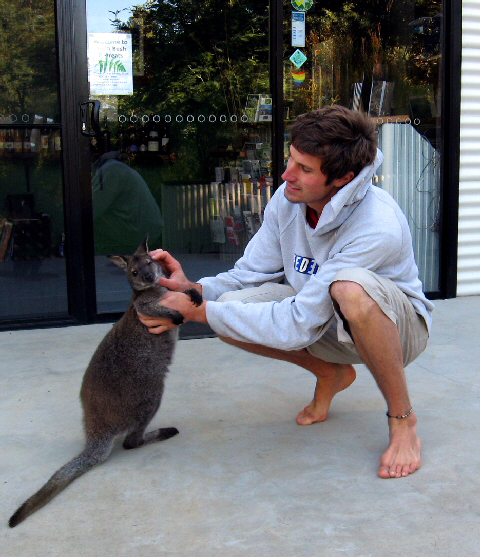 Huon Bush Retreats operates a wildlife rescue program assisting young native animals into adulthood. Because of this program you will find that there are many very friendly animals particularly possums so shut the doors at night or you might just have Billy the possum or one of his friends raid the fridge! Each Cabin is equipped with basic information on Tasmanian wildlife. For the very keen we have binoculars and specialist textbooks available for loan in reception. Reconnect with friends and family with our complementary board games. Children’s toys also available for loan. NB. 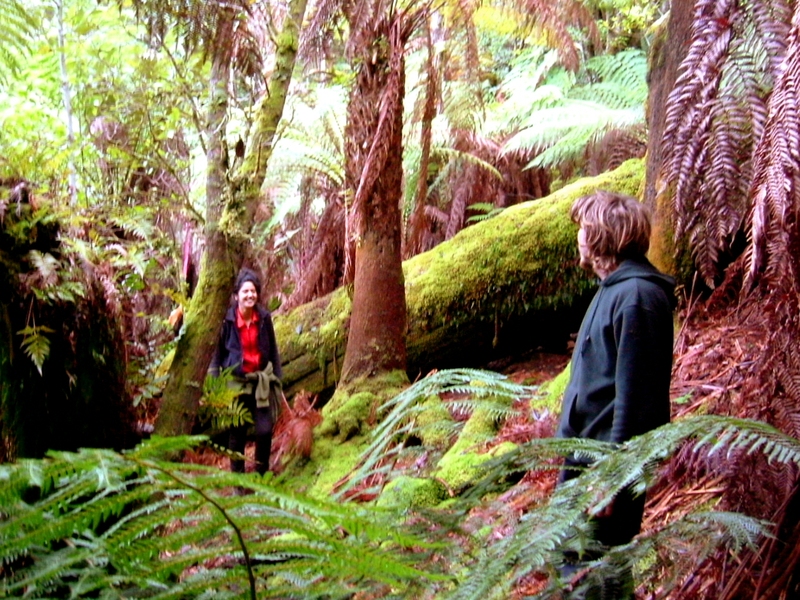 Huon Bush Retreats prides itself on being a true retreat. Your accommodation is free from television and our electricity is 12 volt. Therefore you will be unable to use 240 volt equipment. Small items such as phones and cameras can be recharged at reception. If you (or the kids) truly cannot live without electronic entertainment for your stay please book our DVD/TV for which we have a very limited collection of DVDs. We work with a mobile massage practitioner who can visit your cabin or tipee. Loosen up, lighten up and let everything go with a soothing in-room Swedish (relaxation), Bowen or Remedial Massage. Arrange your treatment as early as possible to ensure availability.